Harbor Country Vacation: - NEWBORN FAMILY PHOTOGRAPHY~ SOUTHWEST MI. Custom photography is a gift that will last a lifetime. The moments captured of your little ones will help you to remember all their precious little details, and all the wonderful memories and emotions that you felt for your child at each stage in life. There is a *$50 retainer fee due at the time of booking to reserve your session date and time. The retainer fee is not refundable and will be taken off of the session fee. You can pay your retainer fee by cash, check or PayPal. Please contact me for my address if you would like to mail in your payment or drop it by my studio. Please contact me at least 24-48 hours in advance if you won’t be able to attend your scheduled portrait session. Although the retainer fee is not refundable, we can reschedule your session within 14 days, a new retainer fee is not required. Thank you for! 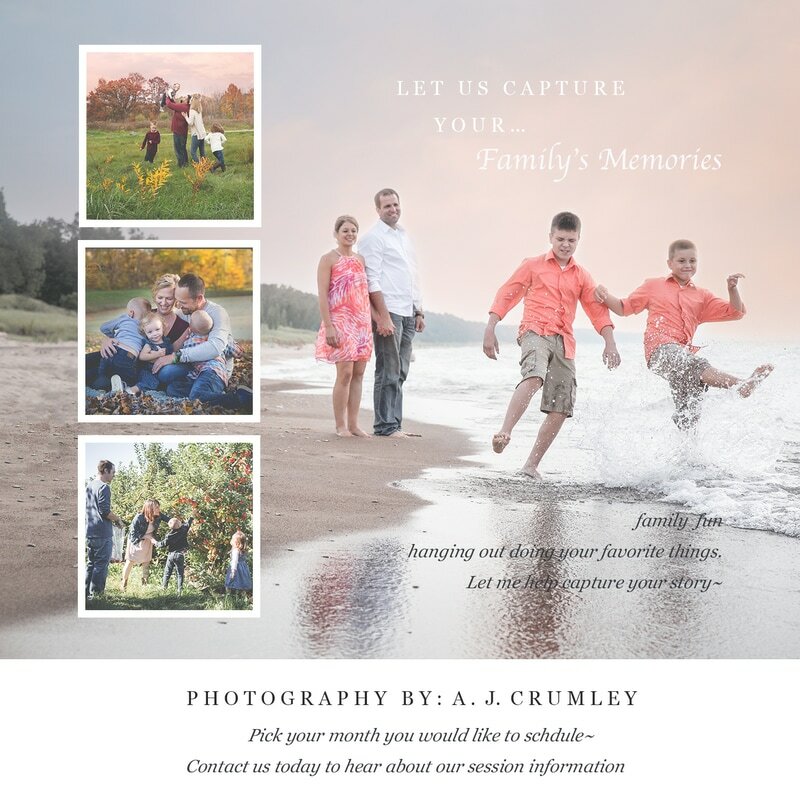 ​Looking for a great way to capture those vacation memories from Harbor Country.... Let us help you with those family traditions, summer vacations, weekends away. As a family, extended families or even those couples that would like to create a special moment to treasure while on vacation. The possibilities are endless from sunsets at the beach ~ hiking in the woods ~ visiting your favorite winery~ apple/ pumpkin picking in the fall. Located in the heart of Harbor Country we can help with your story.